This work is subject to copyright. All rights are reserved, whether the whole or part of the material is concerned, specifically the rights of translation, reprinting, re-use of illustrations, recitation, broadcasting, reproduction on microfilms or in other ways, and storage in data banks. Duplication of this publication or parts thereof is only permitted under the provisions of the Italian Copyright Law in its current version, and permission for use must always be obtained from Springer. Violations are liable for prosecution under the Italian Copyright Law. The use of general descriptive names, registered names, trademarks, etc., in this publication does not imply, even in the absence of a specific statement, that such names are exempt from the relevant protective laws and regulations and therefore free for general use. Product liability: The publisher cannot guarantee the accuracy of any information about dosage and application contained in this book. In every individual case the user must check such information by consulting the relevant literature. The International Diagnostic Course in Davos (IDKD) offers a unique learning experience for imaging specialists in training as well as for experienced radiologists and clinicians wishing to be updated on the current state of the art and the latest developments in the fields of imaging and image-guided interventions. This annual course is focused on organ systems and diseases rather than on modalities. This year's program deals with diseases of the abdomen and pelvis. During the course, the topics are discussed in group seminars and in plenary sessions with lectures by world-renowned experts and teachers. While the seminars present state-of-the-art summaries, the lectures are oriented towards future developments. 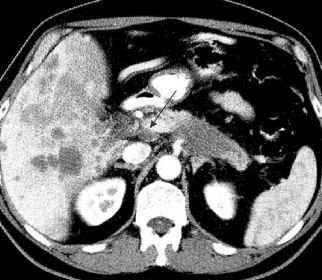 Accordingly, this Syllabus represents a condensed version of the contents presented under the 20 topics dealing with imaging and interventional therapies in abdominal and pelvic diseases. The topics encompass all the relevant imaging modalities including conventional X-rays, computed tomography, nuclear medicine, ultrasound and magnetic resonance angiography, as well as image-guided interventional techniques. The Syllabus is designed to be an 'aide-mémoire' for the course participants so that they can fully concentrate on the lecture and participate in the discussions without the need of taking notes.